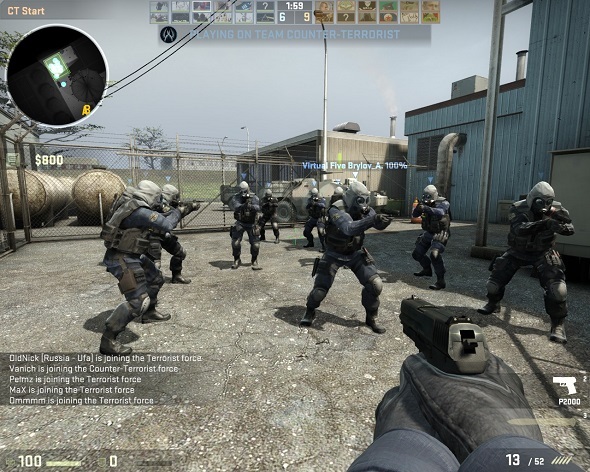 Valve has launched a new Counter-Strike: Global Offensive service - Overwatch, the goal of which is to keep order and correct players’ behavior on the servers. Overwatch is a kind of policy, that allows more experienced players to ban cheaters or other breakers. But Overwatch service isn’t a free-for-all, it will be available only for certain members of the community (called “investigators"), which will lead the project, considering the reports and ban those who have broken the rules (if necessary). Such investigators will be chosen basing on their skills, age and hours played. An Overwatch button will be added to the Global Offensive main menu for them. Although it isn’t clear how many investigators will consider the same complaint, viewing a video of disruptive behaviour, but we already know that the more votes for an inappropriate behavior of some gamer will be, the bigger chance that he will be banned. Ban length and conditions will vary depending on degree of offense. Valve says that Overwatch service is currently in beta so that its developers will be able to verify that the program is functioning correctly.